The HP Bazaar and Wireless Watch Japan crew have teamed up to organize Tokyo’s first Mobile Monday (MoMo) Event at the Pink Cow in Shibuya. 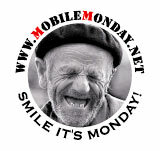 MobileMonday is an open forum for people in the mobile industry. Anyone can attend this informal free-of-charge gathering. Come join in and meet other people in the industry — MoMo is an interactive forum where you can acquire global flair for local enterprises. Snacks and drinks provided courtesy of HP Bazaar..
See information on the song and artist currently playing, find out future tour dates and read some hot gossip. Enjoy radio news and sports broadcasts now enriched with graphics and interesting background information on your phone, on the go. See a detailed map during weather forecasts, receive traffic and business news alerts while songs are playing. Purchase a virtually unlimited range of products and services such as concert tickets, games, video clips and ring tones – immediately. Get what you want, when you want it, purchase a virtually unlimited range of products and services such as concert tickets, games, video clips and ring tones – immediately. Visual Radio – when you’re in the mode, you’re in the mood. Mobile games are already big in Japan, but there is still room to grow on the multiplayer side. Multiplayer gaming has long been a mobile promise yet to be fulfilled. This year, the conditions have seriously improved. Data traffic prices are dropping, developers started projects, game platforms have matured and operators start pushing new business opportunities. But most importantly, consumers are waiting. Come and get an update on the latest developments in this from the industry leaders. We look forward to see you at debut of Mobile Monday in Tokyo.. Thrilled to be the very first official city location outside Helsinki..!! !